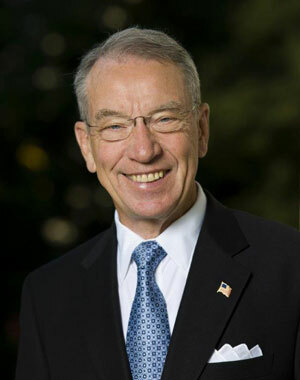 Senator Chuck Grassley is part of a task force of Republican senators crafting a temporary extension of ObamaCare subsidies — since Grassley says they expect the U.S. Supreme Court to rule this summer that the insurance subsidies in states that are not running an insurance exchange are unconstitutional. Grassley says nothing is “written on paper yet” but the outline of the plan would see those ObamaCare insurance subsidies continued into the middle of 2017 — after a new president takes office and may offer his or her own proposal on ObamaCare’s future. According to federal data, about 80 percent of the Americans who are getting insurance through the ObamaCare exchanges are getting a subsidy, meaning their premium costs are cut. Those subsidies, on average, cut the cost of health insurance premiums by 72 percent. Having millions of Americans suddenly exit the private insurance marketplace would be a big economic hit, according to Grassley. And Grassley says they would not be able to afford to buy insurance on their own. The Republican fix Grassley and others are drafting that would continue those subsidies would also continue the employer and individual mandates until — as Grassley suggests — a “more permanent” change is made to ObamaCare by the next president.